Stop #3 on our Verizon Wireless / Hot & Crusty blitz last night! 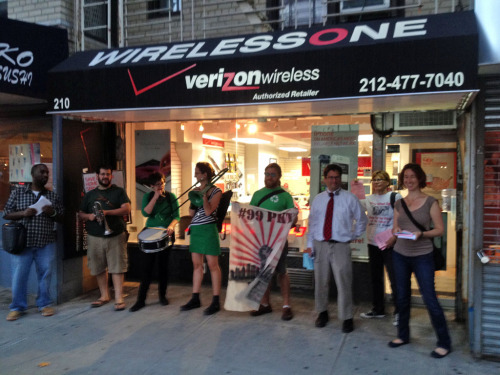 ** DON’T BUY VERIZON UNTIL WORKERS HAVE A FAIR CONTRACT. 3 billion in profit. Now they want workers to sacrifice paid sick days, raises and their retirement. salary to $23 million a year.